This article is an excellent introduction to Roberto Assagiolis Psychosynthesis and the time it developed in. Douglas Russell analyse the many influences on Psychosynthesis and the unique features of its own. 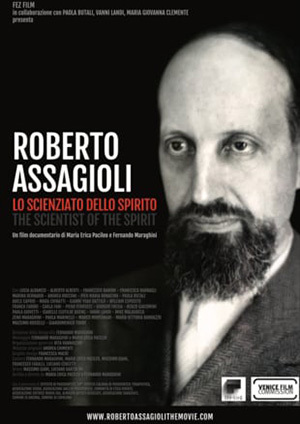 The theory and practice of psychosynthesis began with the work of the Italian psychiatrist, Roberto Assagioli . In a doctoral thesis in 1910, Dr. Assagioli presented his vision of a holistic approach in psychology emphasizing growth and including the spiritual dimension of human experience. He set out to form a psychology of the whole person, focusing his studies on the higher aspects of human nature. As he proceeded to develop psychosynthesis, Assagioli was joined by increasing numbers of students and colleagues from many countries. Some only read his articles, some studied with him personally, and many were inspired to practice psychosynthesis. Each could contribute to the growth of psychosynthesis in their own personal style, and they adapted psychosynthetic principles and techniques to the societies in which they worked. No orthodox method was devised for application by all psychosynthesists, and no centralized organization was formed. By remaining open and adaptable to a wide range of personal and cultural styles, the psychosynthesis; movement established a context for a tremendous richness, variety and creative freedom. At the same time, its openness and diversity led to a certain degree of fragmentation. There was no coordination of the movement as a whole. No formal structure existed for independent workers to share new developments in psychosynthesis. No one person could form an accurate picture of psychosynthesis in its totality. A further difficulty in forming a complete picture of psychosynthesis has been its openness to continuous growth. By nature, it is dynamic and changing. There has been a reluctance to define it or to formulate a precise theory, since definitions can be limiting. It is often described as a process or a way of life rather than a theory or a specific point of view. I believe psychosynthesis has now reached a stage where the elements of a complete theory are emerging. 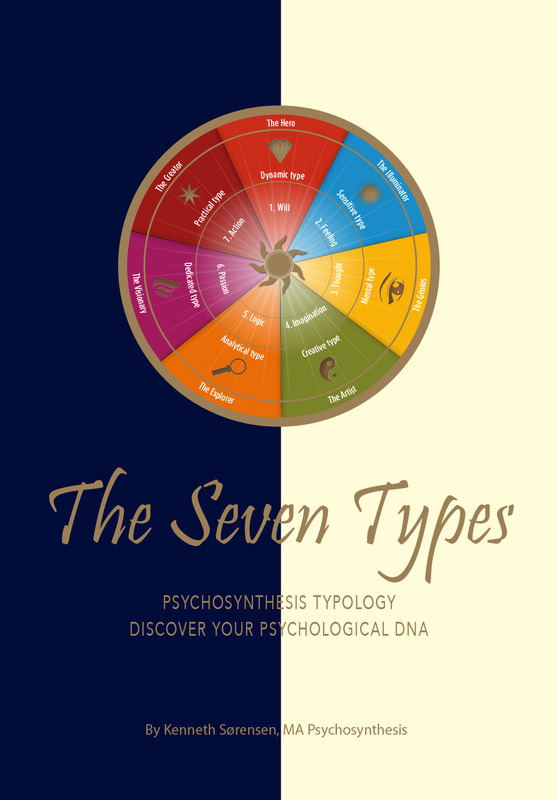 The literature and practice of psychosynthesis embody repeated themes – definite patterns that give psychosynthesis a unique identity. Psychosynthesis does have its boundaries, its special emphases, an underlying unity, and a particular place in the world of Western psychology. To convey the wholeness and uniqueness of psychosynthesis, I have written two articles. Together they present a picture of an open system with a specific historical background and a broad framework of interrelated concepts. This article, Psychosynthesis in Western Psychology, explores the growth of psychosynthesis and several major Western and Eastern influences on its development. 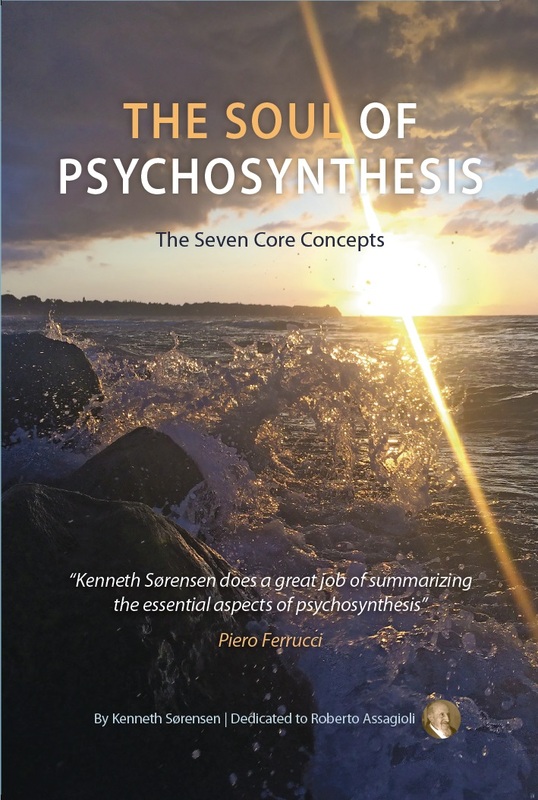 The companion article, Seven Basic Constructs of Psychosynthesis, presents seven sets of ideas which form the foundation for a theory of psychosynthesis. As psychosynthesis moved toward achieving a coherent form over several decades, it was relatively unknown in the field of Western psychology. Like a babe in the womb, it was growing quietly, almost unnoticed. Assagioli nurtured it through his writing and teaching. In time, there were a few colleagues who helped to discover and formulate various aspects of psychosynthesis through intuitive explorations as therapists and educators. They drew inspiration from many sources in the East and the West. By the 1960´s, psychosynthesis centers had been founded in several countries, and the writings of Assagioli´s co-workers were being published. Psychosynthesis had expanded from one man´s vision into a unique, multifaceted entity. The sixties were a period of rapid growth with several new centers founded in Europe and the Americas, new classes and workshops presented to professional conferences and to the public, and a growing body of psychosynthesis literature produced. Assagioli´s first book, Psychosynthesis was published in 1965 and many psychosynthesis monographs were printed. By the end of the decade professional training programs for psychotherapists were being developed in Europe, Canada, and the United States. Psychosynthesis had been horn in relative obscurity but was now an outgoing, active child. Its identity was incomplete and it was not fully mature, but its outlines and its potential~ were becoming evident for all to see. In the larger world of Western psychology, psychosynthesis was recognized as one of many humanistic/existential approaches which were being embraced by increasing numbers of professionals. In the 1970´s, the young psychosynthesis movement found its true home in the field of Western psychology. In this decade, a growing number of psychologists focused on the need for integrating the spiritual or transcendent aspects of human experience into the world of scientific psychology. They recognized the advent of transpersonal psychology as a major new development in their field. Psychosynthesis was essentially a transpersonal approach from the beginning, and many professionals could now acknowledge it as a significant factor in their work. By the mid- to late- 1970´s, some training programs in psychosynthetic psychotherapy developed graduate-level curriculums. This was a sign that psychosynthesis had reached a state of wholeness. It had developed a coherent identity. It could be taught systematically to others in recognized study programs. This sense of wholeness-this broad framework and set of techniques which can be communicated through training programs to therapists – is actually only one facet of psychosynthesis. There are clear indications of greater wholes to come. Training programs for educators have been evolving for many years, and some groups have explored applications of psychosynthesis in areas other than professional training. Programs for personal and spiritual growth have now been developed, applications of psychosynthesis to interpersonal relationships and to social groups are being explored, and there are signs of movement toward a comprehensive theory of psychosynthesis and toward research. The various forms of psychosynthesis share a tradition that this article continues to explore in the next section. The nature of psychosynthesis is clarified by relating it to four phases in the development of Western psychology: psychoanalytic, behaviorist, humanistic, and transpersonal. The works of Carl Jung, William James, and Abraham Maslow are discussed as major Western influences, while raja yoga and karma yoga are presented as major Eastern influences on psychosynthesis. Assagioli also recognized five forces, labeling the fifth “psycho-energetics.” (Assagioli, 1980) This is the study of all experiences as energy, and relates modern psychology to the new physics. (Gerard, 1973) Psychosynthesis is closely aligned with the third, fourth and fifth forces. Various psychosynthesists emphasize one or another of these three in their work. My view is that psychosynthesis is essentially a transpersonal or fourth force approach. Since the fifth force is relatively undeveloped, I concentrate on the first four forces as I explore the nature of psychosynthesis below. 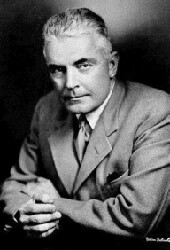 Two scientific approaches to the study of human behavior and psychological healing began around the turn of the century with the work of Sigmund Freud and John B. Watson. 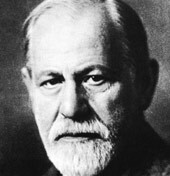 Several brilliant psychologists including Alfred Adler, Otto Rank, Carl Jung, William James, and Roberto Assagioli were developing alternative theories as the twentieth century was dawning, yet Freud´s psychoanalysis and Watson´s behaviorism remained the dominant forces in psychology for several decades. The analysts probed the inner world of thoughts and feelings, and an “unconscious” formed in childhood. The behaviorists focused their studies on outward behaviors that were observable and measurable. Before the humanistic approach had fully formed, a fourth force was identified and developed in the 1960´s and 1970´s as transpersonal psychology. The transpersonal approaches focus on the capacity to reach the extraordinary, the miraculous, the transcendent. This fourth force psychology aims to understand and foster the human potential to experience high states of consciousness, “superhuman” abilities, spiritual disciplines, universal qualities and energies, essence, and species-wide synergy. Through the 1970´s, there was a growing recognition and acceptance of transpersonal psychology as the “fourth force.” In the same decade, psychosynthesis was developing a coherent identity, a sense of wholeness. The earlier explorations of Assagioli and his co-workers had foreshadowed several major features of the fourth force. the combining of separate developments in psychology in a broad framework. the joining of the scientific and the spiritual, the study of alternative realities and altered states of consciousness, and promoting growth beyond the ego. Thus it was a natural step for psychosynthesis to he acknowledged as an established aspect of transpersonal psychology. Psychosynthesis had been humanistic and transpersonal since its inception in 1910. Roberto Assagioli was ahead of his time. He was pioneering an approach that was not to be widely recognized and appreciated until the time of his death in 1974. Our position affirms that all the superior manifestations of the human psyche, such as creative imagination, intuition , aspiration, genius, are facts which are as real and important as are the conditioned reflexes, and therefore are susceptible to research and treatment just as scientifically as conditioned reflexes.We accept the idea that spiritual drives or spiritual urges are as real, basic and fundamental as sexual and aggressive drives; they should not be reduced to sublimation or pathological distortion of the sexual and aggressive components of the personality – although in many neurotic cases such elements are, of course, also present. Although psychosynthesis remained behind the scenes in the early decades of this century, Assagioli was not alone. 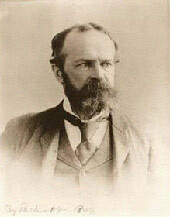 Two prominent contemporaries whose ideas were most compatible with his were Carl Jung and William James. The works of these two men have been major sources of inspiration for the development of psychosynthesis. Jung, like Assagioli. was a scholar who studied many cultures and spiritual traditions. Jung was particularly intrigued with the function of symbols and images in the human psyche. He formulated the idea of a collective unconscious – a universal level of human experience. He turned to the worlds of dreams and fantasies as rich sources of understanding human development. As the years passed, psychosynthesis came to make extensive use of personal and universal symbols to promote healing and growth. Guided imagery became a major tool in psychosynthetic psychotherapy and education. Assagioli adapted and extended many Jungian concepts, and other psychosynthesists have continued this tradition. William James was the other early contemporary of Assagioli whose work has contributed significantly to the development of psychosynthesis. James was particularly interested in altered states of consciousness. By contrast with the psychoanalysts of his day, whose focus was creating the well-adjusted individual who was effective in the social “reality,” James was exploring many alternative realities. 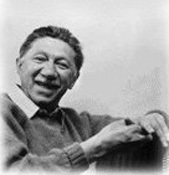 The seeds of the third and fourth forces are found in the work of Abraham Maslow. (Maslow, 1968, 1971) Psychosynthesis is deeply compatible with Maslow´s ideas. Assagioli and other psychosynthesists including Crampton, Gerard, and Haronian, drew a great deal of inspiration from Maslow´s work. Psychosynthesists embraced parts of Maslow´s work to make their own discipline more comprehensive and holistic. Maslow developed abstract ideas about healthy people and psychosynthesists designed practical techniques to facilitate the natural growth process toward more healthy states. Maslow´s research indicated that especially productive, effective people had frequent peak experiences – experiences that transcended their ordinary everyday world. Psychosynthesists before and after Maslow´s time developed specific meditations, imagery techniques and group processes that created an atmosphere mind-set that allowed peak experiences to occur. They also developed ways of “grounding,” bringing the expanded awareness or identity experienced at a peak moment into the everyday world, so the quality of life is transformed. Maslow studied creative people and determined many of their characteristics. Psychosynthesists moved toward developing systematic ways of enhancing creativity. With the humanistic or third force interest in love, psychosynthesists developed methods for contacting and expressing love. Crampton gave the example of psychosynthesis group work encouraging communication at the heart level. (Crampton, 1972) Stauffer developed a role playing technique for transcending anger, practicing forgiveness, and expressing unconditional love. (Stauffer, 1975) Gerard developed an imagery technique for contacting and expressing love in interpersonal relationships. (Gerard, 1967) Many ideas of Maslow and others have come alive as practical techniques in the practice of psychosynthesis. Having presented some of the parallel developments in psychosynthesis and in psychology generally, I now continue by discussing more details that make psychosynthesis unique. I compare and contrast psychosynthesis with each of four´ major forces in psychology. Then I proceed to explore the nature of psychosynthesis as a spiritual psychology. Psychoanalysis is based on a medical model: diagnosing people and providing treatment so they can become well-adjusted to their social environment. Psychosynthesis is based on a growth model: assessing people´s strengths and weaknesses and assisting them in self-improvement, self-fulfillment, and transformation. The unhealthy effects of negative childhood experiences, identified by Freud as causes of neurotic patterns, are acknowledged and worked with actively in psychosynthesis. At times, defenses and resistances to health and growth are confronted with psychoanalytic interpretations. Psychoanalysis looks to a personal unconscious based on past history for the source of psychological problems. Psychosynthesis includes looking to a “higher unconscious” – a realm of the future, of hidden potentials – and it confronts blocks to discovering and actualizing latent talents and abilities. In the therapeutic relationship, some psychosynthesists substitute the terms “guide” and “traveler” for “doctor” and “patient,” changing some of the traditional metaphors of psychotherapy in the direction of increased self-reliance. Because psychosynthesis goes beyond treatment of illnesses to fostering well-being and growth, it is an educational as well as a therapeutic approach. While the behaviorists were studying only observable behavior, psychosynthesis was exploring deep within the person – the realm of feelings and images, beliefs and attitudes, and the deeper levels of an inner core of being. Even so, there has always been a central concern with behavior change in psychosynthesis. Insight is not enough: “grounding” is also necessary. Grounding involves taking practical action based on new insights so the quality of life and relationships changes during the process of psychosynthesis. Assagioli discussed the many similarities of the third force psychology with psychosynthesis in the introduction to his first book. (Assagioli, 1965) He listed these similarities: the central concern with human identity; acknowledging each person as unique; ´valuing growth; recognizing the capacity of individuals to discover meaning in life; acknowledging that we can take responsibility and be aware of motivations; recognition of the role of anxiety and suffering in life; and seeing the future as playing a dynamic role in the present. Assagioli then went on to list differences – aspects that he thought received special emphasis in psychosynthesis by contrast with other existential/humanistic systems. He noted the emphasis on the will as an essential function of the self; the idea of a self which is an experience of awareness beyond any content; the recognition and active fostering of positive, creative, joyous experiences; the idea that in psychosynthesis loneliness is not seen as ultimate or essential; the use of “active techniques:” (1) for transforming, sublimating, or redirecting psychological energies, (2) for strengthening undeveloped functions, and (3) for activation of superconscious energies or latent potentials; and the conscious and planned reconstruction of the personality. These lists are worthy of review and contemplation. They give a concise and comprehensive picture of many of the key elements of psychosynthesis. The uniqueness of psychosynthesis is underscored by contrasting it with specific humanistic modalities that came to prominence in the 1960´s. Rational emotive therapy, for example, works with the mind, developing new ways of reasoning to change emotional reaction patterns. (Ellis, 1961) Psychosynthesis also encourages new ways of using the thinking mind but includes the training of non-rational mental functions. Specific exercises are provided for training the mind so that one can take a centered stance, focus and direct energies, and become more intuitive. I have noted how psychosynthesis foreshadowed many of the key elements of the fourth force in psychology: the inclusion of earlier developments in a new whole; the joining o~f the scientific and the spiritual; the study of altered states; and fostering growth beyond the ego. Some in the transpersonal movement went deeply into meditative and esoteric studies, while psychosynthesists continued to emphasize the translation of abstract teachings into practical exercises and into Western psychology theory. Other transpersonal approaches pursued deep explorations into the way of the heart, or the spiritual aspects of body work, while psychosynthesis continued to emphasize the exploration of spirit through the way of the mind and the way of action. These contrasts convey the unique flavor of psychosynthesis among transpersonal modalities, but psychosynthesis actually aims to achieve a harmonious balance of love and will, and an integration of all levels – physical, emotional, mental, and spiritual. To clarify the psychosynthesis view of the transpersonal, let´s look at a psychosynthesis model of the personality as a three-part structure – physical body, emotions, and thinking mind – with an integrating or coordinating center, the self. Beyond the personality´s world of everyday actions, personal feelings and thoughts is the trans-personal: the realm of abstract thinking, intuition, and the mystical or superconscious experiences of a soul or Higher Self. Also transcending the world of personal concerns is the larger world of group life – other human beings with alternative values, needs, and points of view. The transpersonal perspective of psychosynthesis is that the personality is a vehicle through which the qualities of higher consciousness can be expressed in the everyday world, and that this personality is interdependent with all other personalities. In psychosynthesis, then, the idea of a transpersonal realm takes on meaning not as something mysterious and apart, but as a living experience of the person that can be integrated into the world of daily activities and relationships. In psychosynthesis the movement into the transpersonal occurs in two overlapping steps. Step1 is “personal psychosynthesis” where the goal is personal integration: the creation of a harmonious personality. This is achieved by learning centering, gaining the ability to disidentify from the ego patterns, roles or personality contents, and to identify with the centered self within – the integrating force in the personality. Step II is transpersonal or “spiritual psychosynthesis,” where the goal is to synthesize the integrated personality with the extraordinary qualities and abilities contacted in the transcendent dimensions. This is achieved by dialoguing with the Higher Self, the Transpersonal Self, and through meditation , visualization, journal-keeping and spiritual group work. Spiritual psychosynthesis aims at the fusion of the centered or personal self with a Higher Self within, so that the individual becomes purposeful, wise, loving, creative, and a positive force in the healing and growth of humanity. Psychosynthesis encourages creative change. It fosters new developmental steps. Each step is considered spiritual when placed in perspective as one element in the larger pattern of one´s life purpose. Each step is spiritual when it benefits self and others, harming no one.Each step is spiritual when it promotes the well-being of the whole of life. Spirituality in psychosynthesis also means balancing times of struggle and work with times of humor and recreation. It means taking actions which follow high principles: a willingness to be firm in the face of injustice and courageous in times of adversity. To be spiritual is to live by values and attitudes which are humanistic, progressive and democratic; to be actively concerned with the meaning and purpose of life; and to relate one´s personal development to universal development. The word “yoga” means “yoke” – the frame with which an ox can be harnessed to a plow. Yoga is the harnessing of one´s energies by pursuing a discipline. “Yoga” also means “union,” feeling attuned to higher human qualities and to universal patterns and energies, or in religious terms, union with God. In raja yoga, movement toward a high quality of life is fostered by training the mind. The intellectual aspect of the mind is nurtured by studying abstract ideas and by exploring and applying inspirational teachings. In addition to these broad perspectives and new creative ideas, the high energies contacted in the meditation process also impact the intellect and transform it. As the mind becomes illuminated, the quality of thinking is uplifted. Translating raja yoga philosophy into Western psychological terms and methods, psychosynthesis fosters mental development by study of the basic constructs – the fundamental themes of psychosynthesis theory-and through systematic training in meditation. Meditation in the raja yoga system supports the capacity for self-mastery and self-initiated change. Meditation develops the abstract mind. The ability of the mind to become still, to focus, concentrate, and direct thinking creatively leads to new perceptions, new experiences, new ways of being in the world. Thus in psychosynthesis specific exercises expand the ability of the mind to observe objectively and to direct attention at will. 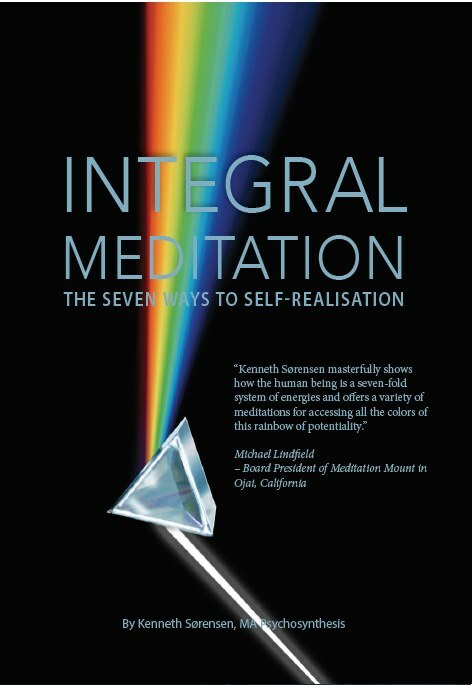 Meditative techniques begin with simple concentration exercises, then move to the “disidentification exercise” in which one mentally shifts identity away from the personality contents – movements, sensations, feelings, or thoughts – and identifies with a center of pure awareness within, the personal self. More advanced meditations include visualizing symbols of the Higher Self, light, energy flows, and energy fields. The power of the imagination is harnessed for evoking healing symbols and thoughts, and for directing positive energies to self and others. The power of the focused mind is also used to create the images, affirmations. goals, visions, the ideal models, which lead the personality forward on the path of growth. The commitment in psychosynthesis to taking action in the world based on the insights gained through therapeutic work, exercises, and meditations, is related to karma yoga. Karma yoga is the yoga of works of action in the world. In this discipline, one may take constructive action to consciously participate in a larger plan of human evolution, thus achieving union with the greater whole. To be spiritual does not mean to merely sit alone in meditation or prayer, but to take the inner energies, insights, or qualities contacted and apply them in the world of everyday living. In psychosynthesis this is called “grounding.” In the karma yoga view of life. even the most simple or mundane chores are an opportunity to live with expanded awareness, or with a high quality of being. The creation of joy, peace, or any other great quality while doing daily routines is a demonstration of spiritual psychosynthesis. Psychosynthesis began in 1910 as Roberto Assagioli set out to develop a psychology of the whole person including the spiritual dimension. After half a century of evolution, psychosynthesis began to achieve a coherent identity and recognition in the world of Western psychology. In the 1960´s and 1970´s. psychosynthesis centers developed professional training programs and graduate-level curriculums eventually emerged. This is a sign that psychosynthesis had reached a stage where it could be envisioned and communicated as a whole – a broad framework with roots in traditions of East and West. Three major influences on the development of psychosynthesis are discussed: the work of Carl Jung, William James, and Abraham Maslow. The growth of psychosynthesis is explored in relation to four forces in Western psychology: psychoanalysis. behaviorism. humanistic psychology, and transpersonal psychology. Psychosynthesis is essentially transpersonal. It embraces elements of all four forces while retaining its unique identity. A discussion of psychosynthesis as an established aspect of the fourth force psychology leads to the concluding section where a psychosynthesis view of spirituality is presented. Influenced by raja yoga and karma yoga, psychosynthesis includes the way of the mind and the way of action as major aspects of the spiritual path. Assagioli. Roberto “La Terceras. Cuartas y Quintas Fuerzas.”Mexico City. Psychosynthesis Institute of Mexico City, Translated 1980. Assagioli, Roberto Psychosynthesis, New York. The Viking Press, c. 1965. Assagioli, Roberto “Psychosynthesis. Individual and Social.” New York. Psychosynthesis Research Foundation No 16. 1960. Brenner Charles. An Elementary Text on Psychoanalysis, New York, International Universities Press ( 1973). Crampton Martha. “Toward a Psycbosynthetic Approach to the Group.” New York, Psychosynthesis Research Foundation, No. 28, 1972. D´Aprix Roger. In Search of a Corporate Soul New York. Amacon. C.1976. Dollard John and Miller, Neal, Personality and Psychotherapy. New York, McGraw-Hill c.1950. Ellis, Albert Ph.D and Harper. Robert A.. Ph. D., A Guide to Rational Living, Hollywood, Calif. Wilshire Book Co. 1961. Goble Frank The Third Force, New York. Grossman Publishers. c. 1970. James William The Varieties of Religious Experience. New York, The Modern Library. 1936, York The Modern Library 1916. Jung C. Modern Man in Search of a Soul. New York. Harcourt. Brace. and World, Inc..
Kull, Steve. “Open Systems and Transformation.” From Plenary Forum at the International Psychosynthesis Conference. Florence, Italy. 1980. Maslow, Abraham Toward a Psychology of Being. New York, D. Van Nostrand Co.. 1968. Miller Ronald, “Psychology for the New Age.” An Interview with Robert Gerard. Ph.D. in Science of Mind. Los Angeles. Science of Mind Publications, April, 1981. Perls. Frederick, M.D.. Hefferline, Ralph F.. Ph.D., and Goodman, Paul. M.D. Gestalt Therapy, New York. Dell Publishing Co. Inc.. c. 1971. 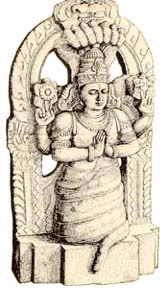 Ramacharaka. Yogi. Karma Yoga. Chicago. Yogi Publication Society. 1928. Ramacharaka. Yogi. Raja Yoga. Chicago. Yogi Publication Society, 1994. Russell, Douglas,”Some Basic Constructs of Psychosynthesis,” Santa Monica, Calif., Psychosynthesis Associates, c. 1978. Stauffer, Edith, “Applied Laws of Human Relations,” workshop at High Point Foundation, Pasadena, 1975. Tart, Charles F., Transpersonal Psychologies, New York, Harper and Row, New York, c.l975. Van Kaam, Adrian, The Third Force in European Psychology – Its Expression in a Theory of Psychotherapy, New York, Psychosynthesis Research Foundation, 1960. Wilber, Ken, “A Developmental View of Consciousness,” Journal of Transpersonal Psychology, Vol. II, No, I, 1979. Wilber, Ken, The Atman Project. Wheaton Ill., The Theosophical Publishing House, c. l980. Also in the 80´s he did hospice social work, and associated his private practice with a holistic health and growth center. Currently, he works full time in the Department of Clinical Social Work at UCLA Medical Center, counseling patients and families in the ER and hospital, serving on committees, writing and publishing, and doing computer projects for improving the quality of care. Doug can be reached via e-mail at [email protected].